Raipur: The 18 seats that went to polls in first phase of the elections to the Chhattisgarh Assembly saw a drop of more than 18 percent in voter turnout, despite all out efforts by the state and central governments to motivate tribals to exercise their franchise in the red corridor areas of Chhattisgarh. The press note released by Chief Election Officer of Chhattisgarh Subrat Sahu on Monday evening tallied the voter turnout at the 10 "highly sensitive" constituencies where voting was held between 7 am and 3 pm at 52 percent, and the turnout at the remaining eight constituencies at 70.08 percent. The average voting percentage for the first phase of 2018 Assembly elections in Chhattisgarh stood at 60.49 percent, against the 78.8 percent voter turnout recorded in these 18 constituencies in the 2013 Assembly elections. Several factors, including the Naxal threat to boycott the elections and the resentment for both Congress and BJP legislators, seem to have contributed to this fall in voter numbers. The prime concern for election authorities was to avoid any loss of life in the polling process, in the aftermath of several brazen Naxal attacks in the run-up to the first phase of the polls. 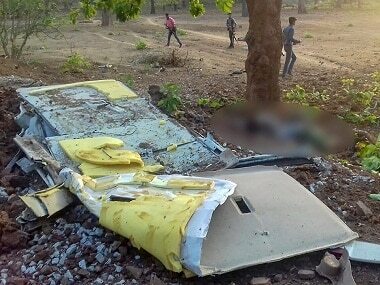 The Naxal resistance was such that two encounters broke out even on polling day — in the Padema area of Bijapur and in Sukma — resulting in the deaths of six insurgents and injuring five security personnel, who had to be airlifted to Jagdalpur. An IED blast was also triggered before polling began, targeting security forces near a booth in Tumakpal-Nayanar Road in Katekalyan area, but no injuries were reported. IED devices were found near polling booths at a couple of other locations in Bijapur and in Bhanupratappur in Kanker and were defused by bomb disposal squads. Election Commission officials said the electorate boycotted the polls in some interior areas of Kanker and Sukma districts. "The list is being prepared, and we are waiting for the polling parties to return. One such village where the villagers boycotted voting is Aamapani in Kanker. The villagers there were angry about their polling booth being shifted to Thema. As per initial information, our officers tried a lot to convince them, but no one from the village turned up to vote," said an election observer, who had come to Kanker from Lucknow on election duty and requested anonymity. Karuna Shukla, former prime minister Atal Bihari Vajpayee's niece and the Congress candidate from Rajnandgaon who is challenging incumbent Chief Minister Raman Singh in his home turf, said the low voter turnout reflects the failure of the state machinery. "In the early hours (of Monday), there were reports that EVMs had malfunctioned at many places, and this was only where TV channels could reach. But what about the interior areas where the media could not reach? We got information that voting started after 10.00 am at many places. So all these factors could be responsible for the fall in voter turnout," Shukla explained. 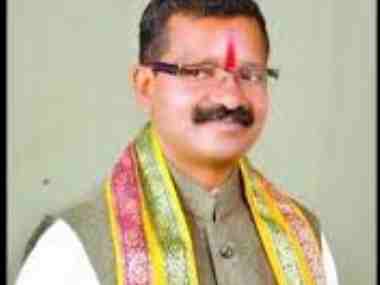 However, BJP candidate from Jagdalpur, Santosh Kumar Bafna, refused to accept that the voter turnout has dropped, claiming that the "actual" turnout would be higher. "Let polling parties who are still inside the jungle return. Then the Election Commission will be able to compile the exact data. It is too early to comment on this," Bafna said. The constituencies that recorded the largest decline in voter turnout compared to figures from the last Assembly elections were Antagarh (33.75 percent low voter turnout than 2013), Narayanpur (30.38 percent), Kondagaon (22.44 percent), Bhanupratappur (22.26 percent) and Keshkal (20.19 percent). Kanker (17.14 percent), Dongargaon (14.27 percent), Bastar (13.95 percent), Khairagarh (14.26 percent), Dantewada (13.03 percent), Khujji (13.01 percent) and Mohla-Manpur (13.52 percent) also saw a high fall in voter turnout. Ironically, none of the 18 constituencies that went to polls in first phase registered a higher voter turnout than in the 2013 elections, rendering baseless the government's argument in favour of increasing paramilitary presence in the red corridor to include more tribals in the democratic set up. However, security forces were successful in getting votes polled at booths set up at Bhejji, Kistaram and Banda in the Konta Assembly constituency in Sukma district, where zero votes were cast in the 2013 Assembly polls. In 2013, 53 polling booths across Sukma, Bijapur and Dantewada in the Bastar division had registered zero votes. The difference between the voter turnout compared to the last elections was the lowest, at 2.19 percent, in the Konta constituency, which saw 46.19 percent voter participation this year. 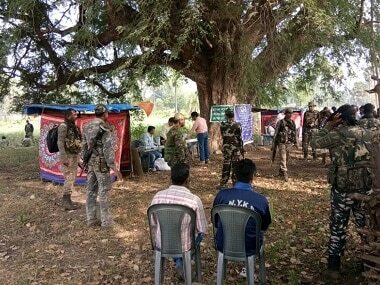 A CRPF commandant from the CoBRA unit posted in Chitrakot, seeking anonymity, said the priority of the armed forces was to ensure that no life is lost during the election process. "It was definitely a challenging task to ensure peaceful voting without the loss of any life, be it civilian or security personnel. We did our best, and few of our jawans sustained injuries. But the force is happy with the outcome as voting also happened in those places where it could not happen in the last term," he said. It was more of a challenge to bring people out to vote, the CRPF official said. "We had to convince people that there is adequate number of forces on the ground to guard them, but they were still hesitant to step out. They only came out watching others," he added. District collectors and returning officers in their respective constituencies declined to comment on the lower voting percentage recorded this year, saying the Election Commission would be able to answer these queries. Mangal Kunjam, an actor who played the role of a journalist in Newton — a Hindi film that depicted the challenges in conducting free and fair voting at a booth located in a Naxal affected area in Chhattisgarh — did not cast his vote out of fear of the insurgents. A resident of Kiroli village in the Kirandul region of Naxal-hit Dantewada district, Kunjam said only a couple of people dared to vote in his village due to the boycott called by Naxals. "The polling party took a couple of voters with them to the booth amid heavy security. This was done to avoid nil voting like in the last elections," the 27-year-old said. Former Naxal Mainuram, who took up masonry after surrendering five years ago, voted in Narayanpur along with his wife, Rajbati. Voting is everyone's right, and one should practice it for a better government, the 40-year-old now believes. "There are a lot of security forces to guard us from Naxals and other anti-national forces. I am not scared of anyone because of the police and security forces, and others should also come out to exercise their franchise," Mainuram said while speaking to the media after casting his vote. Ram Chandra Baghel, a 45-year-old voter from Chitrakot's Lohandiguda village did not vote because he wants "to live". He said only five out of 400 voters in his village exercised their franchise. "Those five persons who went to vote are government employees, like school teachers and others, who were forced to vote. We know they were also scared," he said, adding that Naxals had dropped a parcha (pamphlet) in his village the night before polling, warning them to not participate in the election process. "I did not vote because I want to live. Naxals had threatened us of dire consequences, and I want to live with my family. What is there in taking such a risk? Life is above everything," Baghel said. Those who voted in Lohandiguda were not untouched by this fear. Kamal Madia, 28, one of the five voters from the village, said he was leaving the village for a few days because he could be punished by the Left-Wing Extremists. "I do not want my finger to be chopped off. I regret voting. I don't know why I did it. I am going to Bastar for a few days, till this ink fades," said a frowning Madia, covering his inked finger. Low turnout = fair polling? The Election Commission said the total size of the electorate in the first phase of the polls to 18 constituencies was 31,80,014, of which 16,22,492 were women, 15,57,435 men and 87, the third gender. Polling took place at 4,341 booths. Voting began at 7 am and closed by 3 pm in 10 "highly sensitive" constituencies — Mohla-Manpur, Antagarh, Bhanupratappur, Kanker, Keshkal, Kondagaon, Narayanpur, Dantewada, Bijapur and Konta — while it was held between 8 am and 5 pm in the other eight constituencies — Khairgarh, Dongargarh, Rajnandgaon, Dongargaon, Khujji, Bastar, Jagdalpur and Chitrakot. Dr Vikram Singh, an expert on political affairs in Chhattisgarh, said the higher voting percentage in the Bastar division in 2013 was due to the sympathy the Congress had gained among the people after the Darbha Valley attack, in which 12 party leaders were killed. 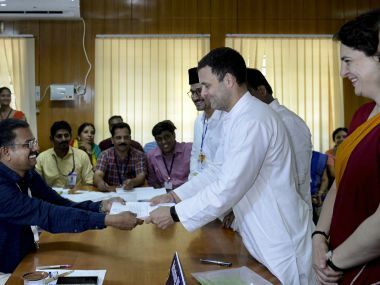 "The voting percentage in 2013 was high because at that time, the Jhiram (Ghati) incident had happened, where several people, including Congress leaders, were killed. That was a mobilising factor then, but there was nothing as such this time," Singh said, adding that another factor that could have kept voters away this year could be the intense anti-election campaign by Naxals, as they carried out at least 15 big and small attacks in the region in the run-up to the polls. The Jhiram Ghati attack of 25 May, 2013, remains one of the deadliest Naxal attacks in the recent past. It claimed 27 lives, including those of Congress leaders Nand Kumar Patel, Vidya Charan Shukla and Mahendra Karma, who was brutally beaten, stabbed and sprayed by bullets by the Naxals. Political parties fielding the same candidates in these 18 seats was another reason behind the low excitement in the electorate, according to Dr Singh. The low voter participation could also be a sign of fair polling, according to Raipur-based political commentator Ashok Tomar. "Chances of rigging increase when the voter turnout is higher, but this time, it is very much clear that there was fair voting," Tomar said, adding that the the threat of Naxals chopping off the fingers of those who voted may have also had an impact on the number of people venturing out to vote.